Every parent dreads a phone call from the school nurse saying, "Please come get your child; we found lice." That starts a whole terrible ball rolling. Not only do you need to leave work or drop whatever you're doing to pick your child up, but you have to purchase medication to get rid of the lice, apply it, wash all bedding and recently worn clothing in hot water, and call everyone with whom your child was in close contact. Now, as if all of that is not enough, there is new research offering evidence that common lice treatments are no longer effective in many parts of the United States. This not the first time we've discussed this problem, but this new study takes things further and shows that things have gotten notably worse in just the last year. The study, which took place at Southern Illinois University in Carbondale, found that lice in at least 25 U.S. states may be developing widespread resistance to the medications typically used to kill them off.1 The scientists collected samples of lice populations from 30 states throughout the country via the work of local public health administrators. Out of 109 samples tested in total, they discovered that a whopping 104 exhibited high levels of mutations in genes that are associated with pyrethroid resistance. Pyrethroids are synthetic chemicals used in the over-the-counter medications frequently recommended by pediatricians. They are a form of insecticide also found in some mosquito repellents, pet shampoos, and household bug sprays. Permethrin, the active ingredient in Nix, and pyrethrins (combined with piperonyl butoxide), the active ingredients in Rid, are types of pyrethroids. The lice samples were all tested for three genetic mutations that are known to alter the bug's nervous system and make it immune to the effects of pyrethroids. The insects with all three mutations together have the highest levels of resistance to the treatments containing these chemicals. This issue has been growing for at least 15 years, when researchers began such testing and found some immunity to pyrethroids among lice populations, but not nearly as much as exists today. 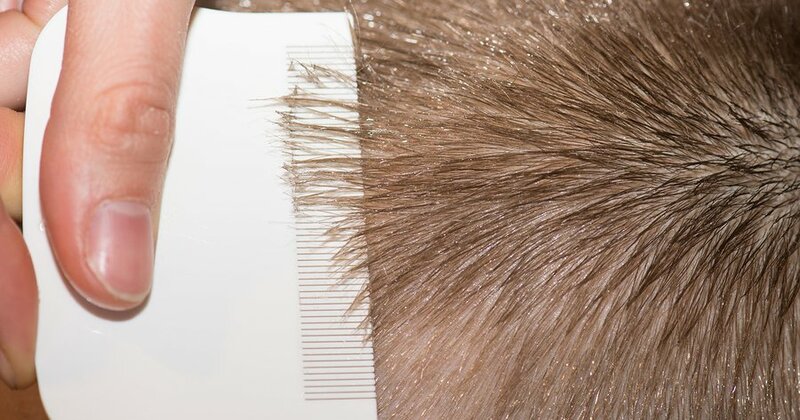 Either way, this is potentially distressing because it is estimated that 12 million American kids between the ages of three and 11 get lice each year according to the Centers for Disease Control and Prevention. If quick, simple treatments no longer work, that means either more days spent out of school for children and possibly out of work for parents or parents sending their kids back to school before the lice are gone and spreading the critters further. This is especially concerning since some of the states found to have resistant lice were among the most populous, including California, Texas, and Florida. However, on a more positive note, maybe this will start moving parents away from putting insecticides on their children's heads. While these medications are recommended by many doctors and sold over-the-counter (which often leads people to assume they can't be too dangerous), they are still strong enough to kill many kinds of insects and have been associated with scalp stinging, irritation, numbness, and occasionally serious allergic reactions. I've read two explanations of how DE works: by desiccating the insects or by cutting them up inside if they eat it (it's amorphous silica). DE can be rubbed into the hair and/or dusted on bedding, floors, etc. It's safe to ingest in small quantities, in water, as an intestinal detox; and it does not harm small animals. Be sure to use only the food-grade product, which has no added insecticides, and wear a mask while dusting with it because it's dangerous to the lungs. It's hard to understand why this product, which has been around for years and is so easy to use, is not as well known as it should be.